Due to a lack of time, competency, material, human and financial resources available to SMEs, rarely are they able to identify and pursue new business opportunities in international markets. Even when they have identified a possible new market, they often experience real difficulty accessing even the most limited data with which to assess expected profit and potential risk of doing business in that market. Commerce international Côte-Nord can help you identify appropriate information, both from private and public sectors. Having identified an opportunity to internationalize, SMEs face a variety of obstacles, many of which are specific to their operations or industry sector. Sometimes these companies lack knowledge on the best way to enter the market or to reap the greatest returns from a business commitment. Commerce international Côte-Nord can help you identify potential high-value customers in new markets. The ability to gain access to the right customers is a problem for any business seeking to enter an unfamiliar market. Often these companies hire agents or representatives to advance their interest in a target market. While large businesses leverage their existing international staff in order to access new markets, this is rarely an option for SMEs. The process of recruiting suitable agents and thereafter being able to effectively manage them at a distance is complex and places a heavy additional demand on an SME manager’s time and requires undeniable additional capabilities. Also, these agents or representatives are in high demand and an SME may be only one of the several clients among others. Distance means that the SME can often only become aware of a problem once it is too late, while the remedies it can seek in a foreign jurisdiction can also prove to be problematic. 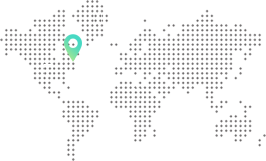 Commerce international Côte-Nord is able to, with the help of Québec and Canadian delegates abroad, accompany its clients in the initiatives to develop a representation network. Businesses seeking to enter can face shortages of working capital. This can be due to problems securing financing because lenders have a perception of higher risk factors based on concerns about exchange rate volatility, differing regulatory environments in the target market, perceived cultural difficulties and in some cases, political risks. Moreover, entry into a new market places increased demands on the financial and management skills of a business, including understanding the use of more sophisticated financial instruments, the ability to assess risk and to grant credit to clients, payment collection and contract enforcement. Through its network of contacts within private and public financial institutions, Commerce international Côte-Nord is able to help you secure financial assistance at every stage of your internationalization initiative. Through its personalized mentoring and training service, Commerce international Côte-Nord is able to assist those employees who have jobs in international trade within your organization. Time is probably the most limited resource available to any SME business owner. The daily struggle to maintain the viability of the business often relegates to a lower level of priority any forward-thinking about new opportunities. 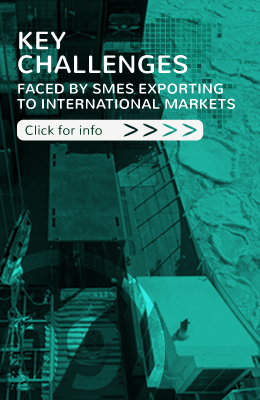 Consequently, the time and effort to gain entry into international markets pose considerable risks to the visibility of the business as a whole and the owner’s risk aversion becomes a barrier to an SME seeking market access. Through its personalized mentoring and training service, Commerce international Côte-Nord is able to assist those employees who have jobs in international trade within the organization. It is difficult and costly for any company to enter and then establish itself in a new market. Even when it is necessary, SMEs can rarely afford to hire specialized (or outside experts) to set up and manage their international operations. For these operations to be successful, it takes technical, legal, marketing, e-commerce and supply chain management expertise that is top notch. mentoring and training service, Commerce international Côte-Nord is able to assist those employees who hold jobs in international trade within the organization. Managing costs over which the company has little influence (for example, local costs of transportation and distribution) is often a problem, although the severity of this problem will differ according to the market the SME is wanting to access. Unlike its local competitors, the internationalized SME incurs the costs of relocating staff and getting its products to market. In Canada and in Québec, there are many programs made available to companies wanting to deal in international trade but oftentimes, the SMEs are unaware of them or simply do not know how to access them. When they do, getting support often appears complex, time-consuming and burdensome. Through its personalized mentoring service, Commerce international Côte-Nord can help you get financing for every step of the way in becoming an international business. Commerce international Côte-Nord, formerly CORPEX, is an organization that promotes exports (ORPEX).